Do you always feel tired, stressed, and angry? Are you impulsive and can`t seem to stop snapping at people for the wrong reasons? If you say Yes, then you have to meditate more often. Meditation is one of the best physical and spiritual activities you can gift yourself. For just 10 minutes each day, you can improve your mood, boost your energy and increase tranquility. But it`s not just about that. 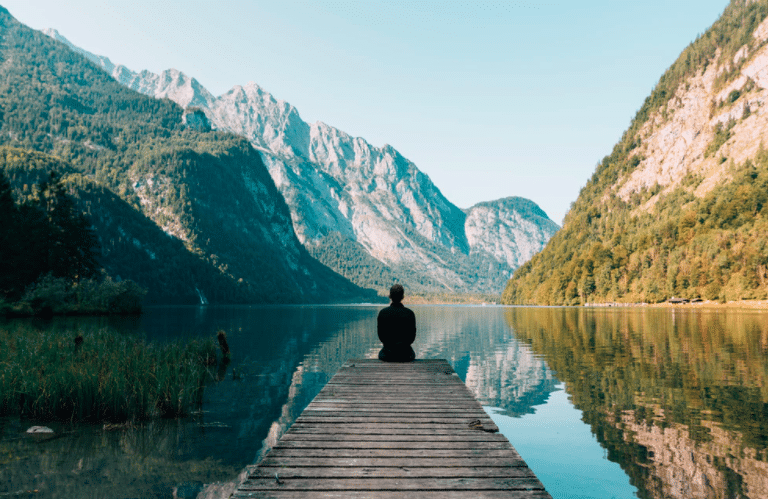 Researchers have found many answers to why you should meditate, some of which are listed here in this post. Many studies believe that meditation has positive effects on cognition, especially in adults. A 2015 study found that 12 minutes of daily Kirtan Kriya meditation lowered the risk of Alzheimer`s in adults with memory problems such as Mild Cognitive Impairment (MCI). The study found that KK lowered the symptoms of both anxiety and depression in participants and improved their sleep quality. They also saw a 43-percent increase in a protein called Telomerase which protects the body against DNA damage and increases longevity. If you have asthma or rheumatoid arthritis, then you should meditate. A 2013 study by the University of Wisconsin-Madison found that it increases tolerance for asthma, rheumatoid arthritis, bowel disease and other inflammatory conditions. To cope with chronic pain, the participants were asked to sign up for one of two stress-relieving programs. Both programs were quite similar. However, the second was a mix of physical moves and mindful meditation. And guess what proved to be more efficient? The second one. Another study later confirmed these findings and found that regular meditation mimics the effect of anti-inflammatory drugs reduces the production of the body`s pro-inflammatory genes. Meditation is a fantastic treatment for insomnia. When having difficulty sleeping, many people, including me, meditate in bed. In one study, two groups of participants suffering from chronic insomnia were asked to either meditate or opt for a course on improving sleep quality. Those who meditated saw a notable improvement in both sleep latency and duration time compared to the other group. Meditation is essential to the immune system especially for patients diagnosed with HIV. Studies suggest that it makes the body secrete specific anti-aging hormones that decrease the decay rate of a particular type of cells called CD4 T, which are the most critical cells in the immune system. These cells are usually attacked whenever someone is infected with HIV, making it quite dangerous whenever a patient faces anxiety or prolonged stress. This is why HIV patients are instructed to meditate. According to a study by the University of California, mindful meditation overcomes the effect of specific proteins called, cytokines, which are released when you feel stressed. Most human behaviors are impulsive. Think of worrying, overdrinking, or snapping at people for no reason, they all happen when we let emotions rule over logic, which is the case for most people. And guess what? The more impulsive you are, the less disciplined and less grounded you feel. Fortunately, you can reduce impulsiveness with meditation. A team from Michigan State University told only one group of their participants to meditate before asking them to look at a bunch disturbing pictures while measuring their brain activity. The result? The meditating group was able to tame their negative emotions much better than their non-meditating peers. Meditation can also help you understand yourself and what motivates to do certain things. A recent study by Washington University suggests that paying attention to your current experience in a non-judgmental way —i.e., mindful meditation— might help you identify the blind spots in your self-knowledge that cause poor decision-making, poor academic achievement, low self-esteem and lower life satisfaction. If you feel distracted most of the time, then you should start meditating. A new study by the University of Waterloo in Canada found that you can improve focus by just doing 10 minutes of daily mindful meditation. These 10 minutes, according to the study, taught chronic worriers, and highly anxious students, how to shift attention from their worries to the present moment, and thus increase their ability to complete a task undistracted. Though it doesn`t burn many calories, studies suggest that meditation — done solo or in groups— can be very effective against overeating, which is the root of all stomach evil. A recent study by North Carolina State University found that meditation helped participants lose seven times more weight than their non-meditating peers. After studying 80 participants and testing their levels of mindfulness, the team found that meditation increased mindful eating which helped the meditating group lose an average of 4.2 pounds during the study compared to only 0.6 pounds lost by another non-meditating group. Marwan Jamal is a fitness and health blogger at healthline.com and a great fan of the gym and a healthy diet. He follows the trends in fitness, gym, and healthy life and loves to share his knowledge through useful and informative articles. I like that , just that on my job can not go over it very well .l need to back and see over it again,so that l can understand.